Be prepared for fun in the beach! 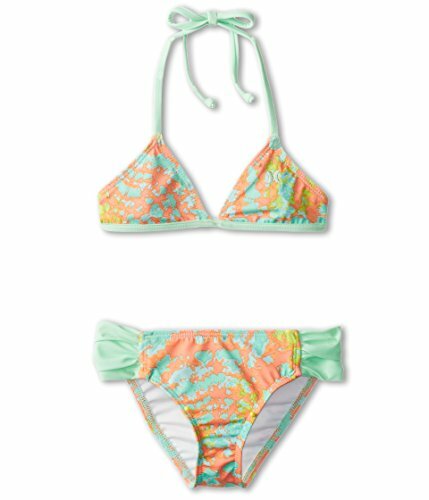 Two-piece bathing suit with triangle top and matching bottoms. Quick-drying fabrication. Top:Triangle style cups create a plunging neckline. Halter-style straps tie at the neck and back. Bottom:Bikini-style bottom.Elastic at sides for a comfortable fit. 84% polyester, 16% spandex.Lining: 100% polyester. Hand wash cold, dry flat. Imported.